Google self driving cars have come a long way if you are talking about hands on experience of driving on road. Yes, Google self driving cars are on track, running and educating their intelligence with several real life situations, which they may face while on being road. With an on going testing process, Google self driving cars have completed almost 1.1 million miles in autonomous mode. While traversing such huge distances, the self driving cars have adapted themselves with the road, traffic knowledge, road saftety, precautions from accidents and have become immensely careful day by day. Amid all these exhaustive autonomous training, Google self driving cars have failed to handle bicycle track stands. When a biker is on his/her bike in an erect position without touching his/her feet on the ground for any kind of support, then it is called track stand. The difference between track stand and normal stand is that during track stand, the cyclist moves fractionally back and forth in order to maintain a balance. The posture of the cyclist is also as if he is in motion. The self driving cars were found to be baffled with such track stands. 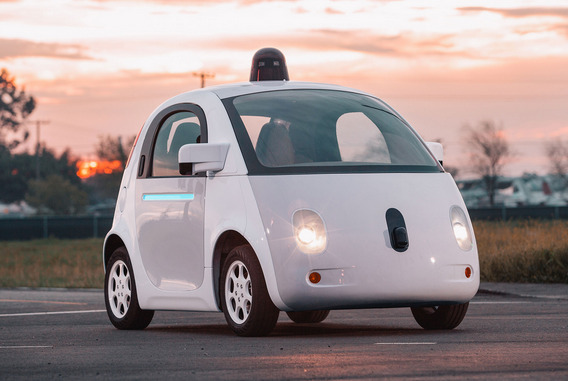 The incident was observed when a cyclist in Austin met a self driving car on a four way road. “The car got to the stop line a fraction of a second before I did, so it had the [right of way]. I did a track-stand and waited for it to continue on through”, said the cyclist. Track stands are usually done by bikers on fixed gear bikes and this surprisingly emerged as a problem to the self driving car. We repeated this little dance for about two full minutes and the car never made it past the middle of the intersection. The two guys inside were laughing and punching stuff into a laptop. However the cyclist also said that he did not find any safety threat from the autonomous cars which he would have faced if it were a human operated car.